This award is in memory of Bennett Hiner, son of long-time Society member Dr. Bradley Hiner. Bennett passed away unexpectedly in November of 2011. He was a leader in his medical school class at the University of Southern California and actively involved in neuroscience research. Qualified applicants are medical students enrolled in either the Medical College of Wisconsin or the University of Wisconsin School of Medicine and Public Health; graduate and allied health students who have completed neuroscience research within two years of the application for the award; have demonstrated leadership experience while enrolled in medical school or graduate programs; and have submitted the application and research abstract. The winner is then selected by a committee and announced at the annual conference. Download the application materials. 2018 - Brett Fulleylove-Krause from the Medical College of Wisconsin won the award for his abstract is titled: Increasing NAD Levels in an iPSC model of Parkinson’s Disease. 2017 - There was not a Bennett Hiner Research Award Winner in 2017. 2016 - Daryl Fields, from the University of Wisconsin School of Medicine and Public Health, wont the award for his abstract, Hypoxia-enhanced NR2B-containing NMDA Receptors Constrain Compensatory Respiratory Behaviors that Prevent Recurrent Apneas. His research sought to determine how the intrinsically adaptive capacity of the central nervous system may be utilized for the treatment of various neural disorders. Specifically, his most recent project identified a novel drug therapy for treating obstructive and central sleep apnea. Through a collaboration with the Wisconsin Alumni Research Foundation, the drug has been submitted to the United States Patent Office. Following completion of his medical school training Daryl hopes to continue his molecular studies as a physician scientist investigating treatment options for breathing control disorders." 2015 - Jacob Thayer, a fourth year Medical College of Wisconsin medical student won the award for his abstract, Comparison of Peripheral Nerve Axonal Area Differences in Central and Peripheral Zones of Injured and Repaired Nerves. His study investigated a newly recognized histological difference between peripheral zones and central zones within regenerating nerve trunks. 2013 - Mitch Daun, a third-year Medical College of Wisconsin medical school student, won the award for his project, Repeatability of Independent Component Analysis Applied to Dynamic Susceptibility Contrast MRI in Newly Diagnosed and Long Term Flow-up Brain Tumor Patients. Aadhavi Sridharan, a fourth-year medical school student at the UW School of Medicine and Public Health, received the award for her project on the effect of caloric restriction on aging and the brain in rhesus monkeys. Her dissertation work combined neurohistologic and advanced brain imaging techniques to examine the effect of caloric restriction on aging brain pathology and morphology. 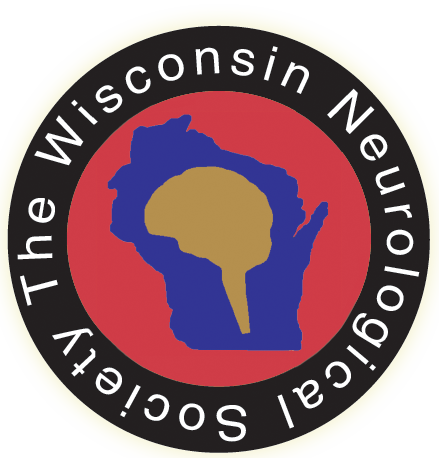 Each year the Francis M. Forster Award is presented during the Wisconsin Neurological Society Annual Meeting. Residents and fellows submit their abstracts to their Residency Program Director and a maximum of two abstracts are then selected from each institution (MCW and UW) for presentation at the meeting. The content of the presentations can be either in house research under faculty guidance or interesting cases. The winner is then selected by vote of conference attendees (residents and fellows cannot vote). 2018 - Congratulations to Sumaiya Khondker, MD for the presentation, Developing a process for IV tPA door-to-needle administration in 30 minutes or less, a multidisciplinary approach. 2017 - Congratulations to Sadhana Murali, MD, for the presentation, Sneddon Syndrome: Untangling the Web. 2016 - Congratulations to Patrick M. Bauer, MD for the presentation, Combining fMRI Language Lateralization and Hippocampal Morphometry for Predicting Verbal Memory Outcome after Left Anterior Temporal Lobectomy. 2015 -Congratulations to Jamie Elliott, MD for the presentation, From Migraine to Coma: A complex neurological presentation of systemic disease, a case study. 2014 - Congratulations to Smitha Holla, MD, for the presentation, The Blind that see Light, a case discussion and review of prior data on a patient with acute blindness. 2013 - Congratulations to Vikas Singh, MD, for the presentation, Metronidazole associated neurotoxicity: a case series and review of etio-pathogenetic mechanisms, clinical and imaging characteristics. 2012 - Congratulations to Ika Noviawaty, MD, for the presentation, Ketogenic diet in adult refractory status epilepticus: case report. 2011 - Congratulations to Aaron Struck, MD, for the presentation, The Use of 18F-DOPA PET for the Diagnosis of Parkinson's Disease in a Clinical Population. 2010 - Congratulations to Ahsan Sattar, MD, for the presentation, An Ethical Dilemma Associated with the Emergency Management of Stroke. 2009 - Congratulations to Aparna Komatineni, MD, for the presentation, Clinical and Recanalization Outcome of Endovascular Acute Ischemic Stroke Therapy Initiated between 3 to 4.5 hours from Symptoms Onset. 2008 - Congratulations to Kara Tower, MD, for the presentation, A Case of Anti-NMDA Receptor Antibody Mediated Encephalitis.